I had heard about Osmo several months ago, but it wasn't until I went to FETC in January that I had the opportunity to interact with one. 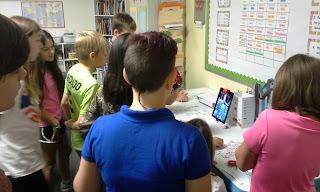 After the conference, I decided to research how I could use the device in my classroom. When I learned about some of its features, specific students came to my mind, and I knew this could be a beneficial tool for us. 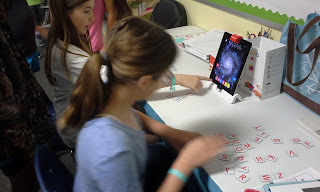 With parent help (each student brought in $5.00), I was able to purchase an Osmo Genius Kit a couple weeks ago, and we have been enjoying using it in class! 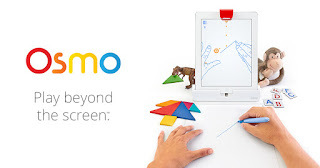 Osmo is an educational technology tool that connects with the iPad to create an interactive game system. It is compatible with almost all variations of the iPad, but it doesn't currently operate with Android devices. 1. 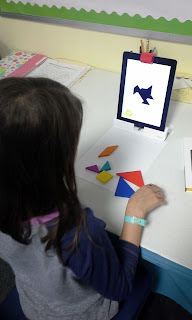 Tangram--Players use the seven colorful wooden game pieces to complete puzzles on the screen. There are over 600 puzzles with varying degrees of difficulty so that students from K-6th can play. Okay, even I have been challenged by some of the puzzles! 2. Newton--This physics game drops spheres from the top of the screen and kind of reminds me of a pinball machine. Players must guide the spheres to different locations in order to hit targets on the screen. 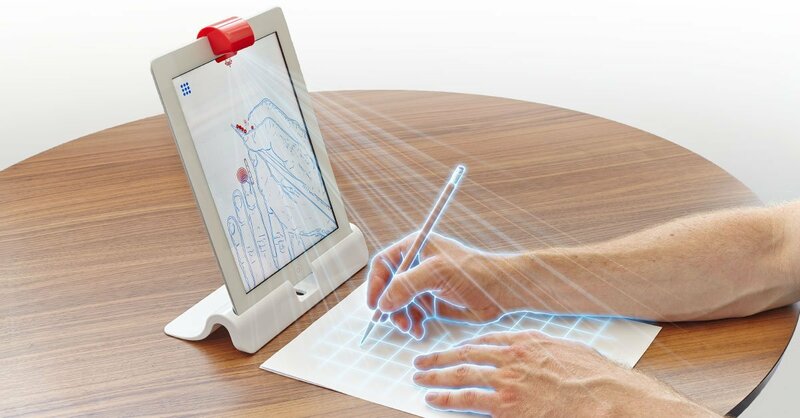 You can draw lines on a piece of paper in front of the iPad or even put down real world objects (like your hand, a ruler, pens, etc.) to guide the spheres to the targets. 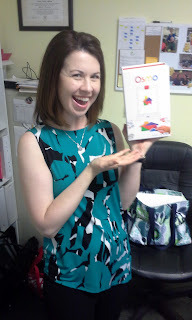 I've also used the Tangram pieces before. There are 60 levels, and the levels progressively become more challenging. This game can help students with spatial relations, cause and effect, and problem-solving skills. 3. Words--Reminds me of Hangman and Wheel of Fortune. Players are provided with a visual clue and then they must guess a hidden word by placing letter tiles in front of the iPad. This is great for spelling/vocabulary review, and the neat thing is that teachers can create their own word games by uploading specific pictures/words. I've already customized a Word game that relates to our space unit. 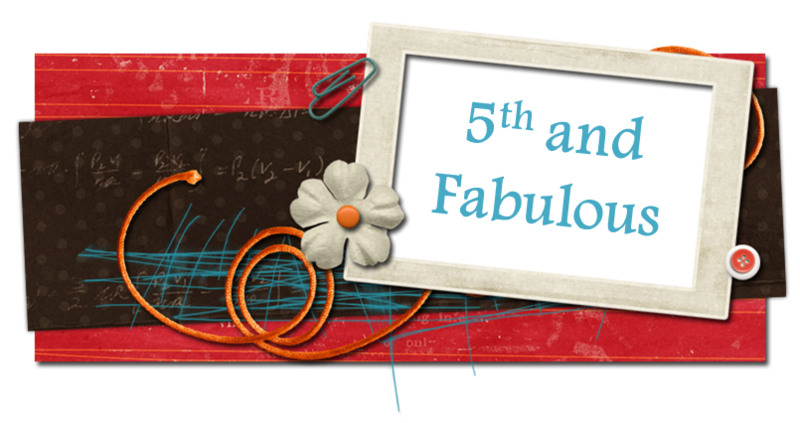 There are four levels of difficulty, so students from ages 5-12 can play on their level. Honestly, I've even been stumped on the "Impossible" category! This game really encourages outside-the-box thinking because the picture may represent a noun, adjective, or adverb. It can get a little tricky! 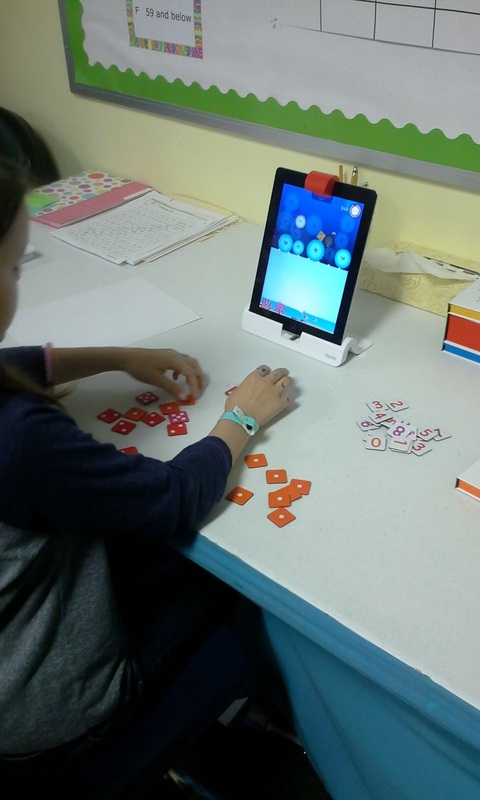 Students use the provided letter tiles and slide them in front of the iPad to correctly spell words. This can be done individually, cooperatively, or in a Versus mode. Here are a couple clips of my students playing in Versus Mode. 4. Numbers--This fun, aquatic-themed math game provides practice for several math skills: number recognition, addition, subtraction, multiplication, ordering numbers, and creating equations. There are multiple ways to solve each puzzle and students are given immediate feedback. The math challenges become increasingly complex the longer one plays. Osmo has partnered with Houghton Mifflin Harcourt in order to make Numbers compatible with their Go Math! and Math Expressions programs. 5. 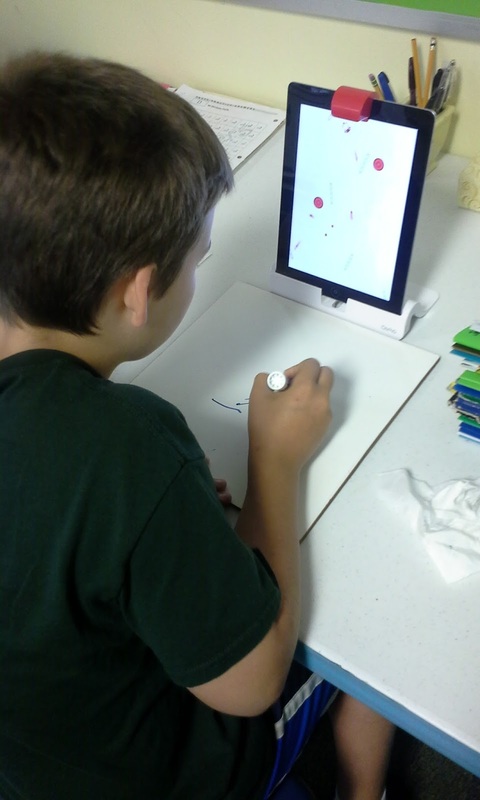 Masterpiece--Allows you to draw an image by "tracing" the lines you see on the screen. This sounds easier than it actually is! With this app, you have the option to take a photo to draw, upload an image already stored in your photo album, choose from provided drawings, or even search online. There are many possibilities! While drawing, the iPad records all movements and at the end, it is able to show you a time-lapsed video of your artwork. Artists may then share the video on social media or via email. I love that this app also provides outlines of numbers and letters so students can practice their handwriting (both print and cursive!). Masterpiece definitely helps with fine motor skills. Click here to see a time-lapsed video of one of my student's drawings. 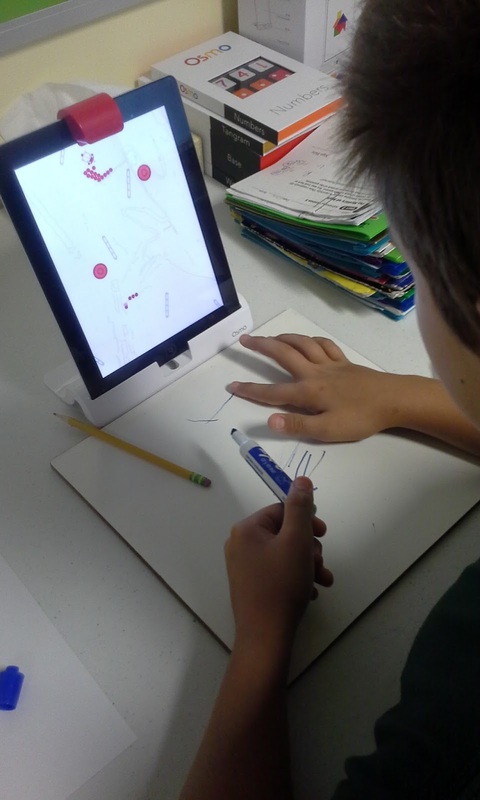 Besides using this app in art class, I could see teachers using it for geography (drawing maps), math (numbers, shapes, geometric concepts, etc. ), language arts (print/cursive practice, book reports, writing in another language, etc. 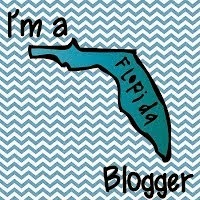 )...there are numerous possibilities! 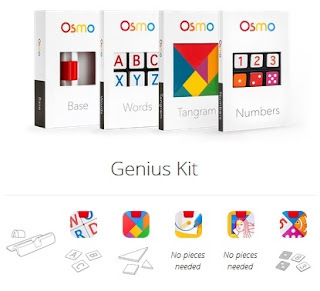 As you can see, the Osmo promotes critical thinking and problem-solving skills, spatial awareness, fine motor skills, word play, and math fact fluency. Masterpiece helps students develop stamina for completing tasks that are challenging and require more focus, and it can inspire students to become better artists. 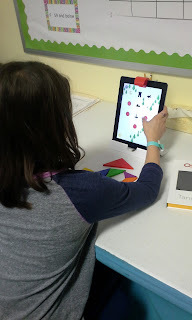 I have a very creative bunch this year, so Masterpiece is their current favorite app. 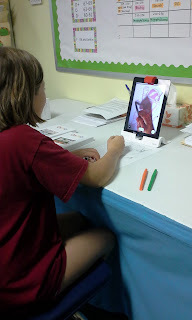 One of the things I enjoy most about the Osmo is that it's a tech tool that actually encourages interaction. When I use it with students in the classroom, they are sharing ideas, talking, solving problems, and even laughing together. This isn't just putting a child in front of another screen; students can interact with real objects and each other. This game play goes beyond the screen and encourages social interactions. 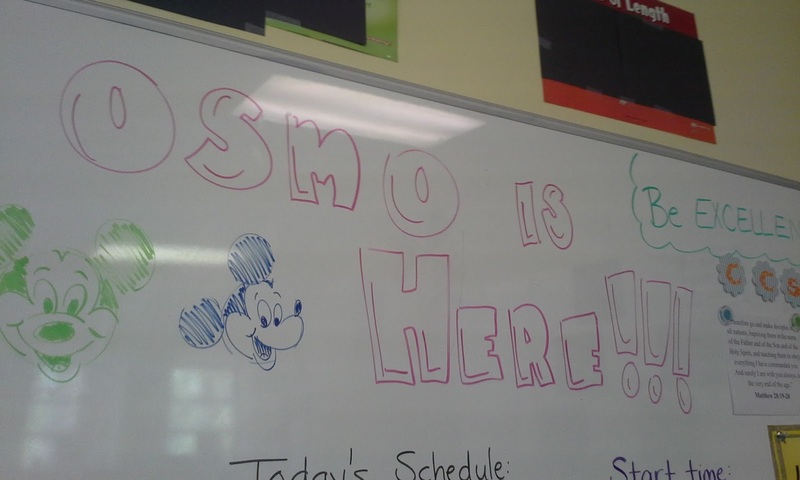 It's been a wonderful addition to our classroom! This post contains photos from Google images.